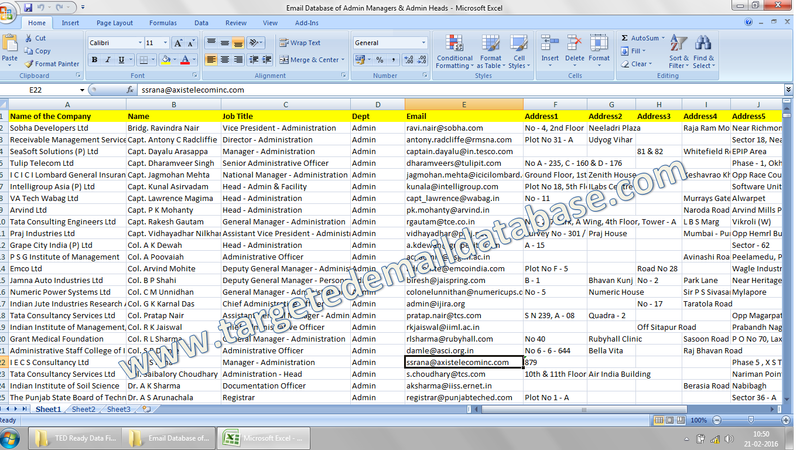 Email Database of Admin Managers is an Official Email Id List of Admin Managers & Facility Managers in various Corporates & Companies. 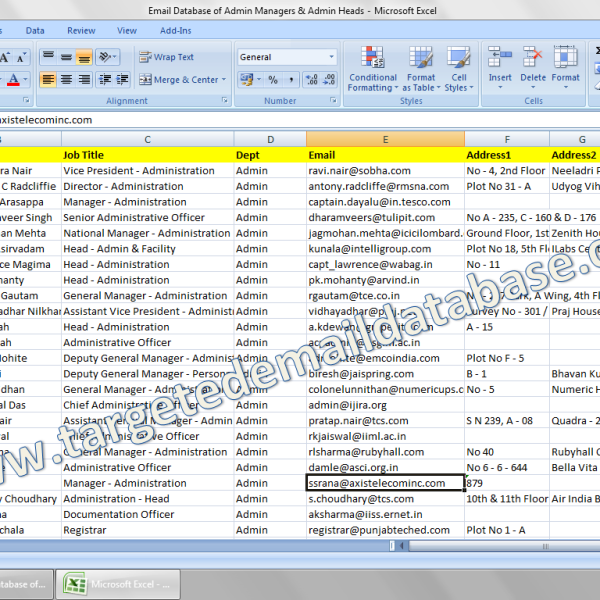 Details: Email Database of Admin Managers is an Official Email Id List of Admin Managers & Facility Managers in various Corporates & Companies. Fields Mentioned: Company Name, Admin Managers Name, Admin Managers’ Official Email id, Designation, Company Profile, Phone, Industry Segment, Address, Location etc (Check Samples for details). Usage: Extremely useful for Selling or Marketing for Products or Services related to Facility, Transport, Stationary etc in Corporates and Companies. Quantity: 38 Thousand 284 records. direct sales via mail is not happening, but good number of leads & appointments, working on them.